A reproduction of a 17th century frame. Hand carved and finished by Armand Lee in Chicago. The wavy mirror was also made in house to replicate old glass. One of the most important aspects of a home’s interior is the artwork. It offers the homeowner a chance to showcase their interests and taste. Whether their tastes are classic, contemporary or rare and historic collections of objects, we pay particular attention to how the artwork is installed so that it is most impactful and visually appealing. 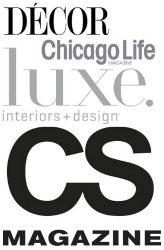 On many projects, we encourage our clients to discover art that interests them. Sometimes that means working with a consultant that listens carefully to the client’s interests. An art consultant works within a client’s budget parameters and directs them to artist that may be of interest. 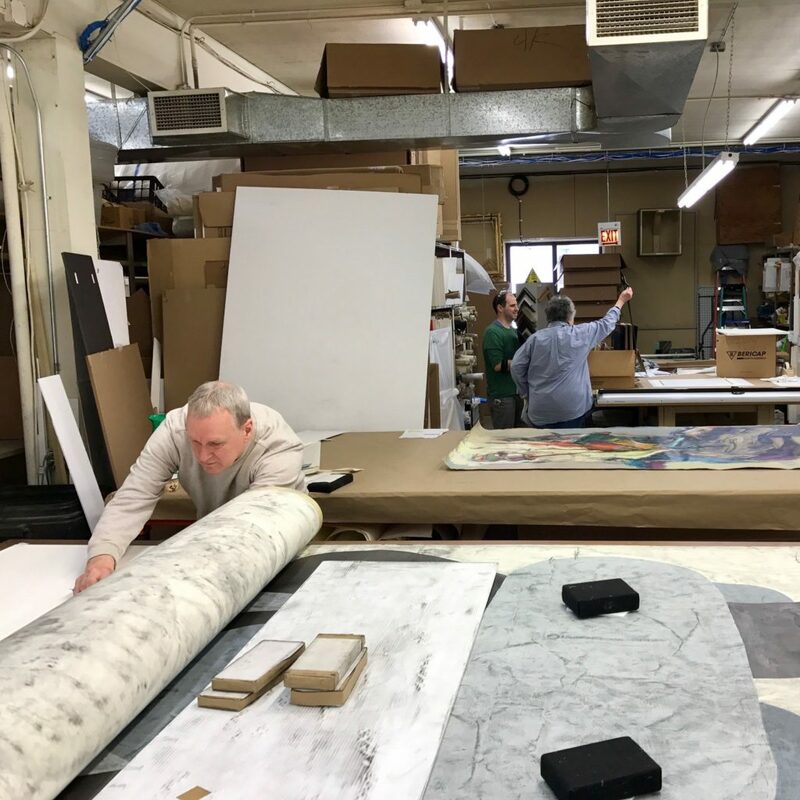 On other occasions, we help clients to round out their collections by suggesting different media and periods, advising on the size of the pieces required, or pointing them to artists that we think will add to the collection. Balanced interiors include artwork of all types. This could mean a hand thrown porcelain vessel on a cocktail table, a sculpted bronze figure on the front lawn or a fine Murano glass chandelier. You see, artwork doesn’t only mean something that hangs on the wall. A broad range of artwork that includes many types of media really gives depth to a collection. Showing art collections begins with careful consideration of how best to display each individual piece. If it is a sculpture, where will it be located, how will it be lit and what will it stand upon? If it is an oil painting, when was it made, what is the subject matter, and where was it painted? These are factors we consider when we design pedestals, bases, frames and enclosures. 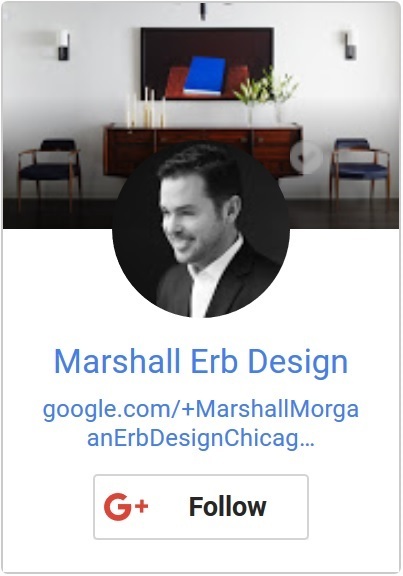 For the past 19 years, I have worked with Kyle Bretland at Armand Lee to help me to solve these challenging design questions. She has a wonderful eye and an incredible knowledge of artwork that informs her selections and assists in guiding us to select which method to display a particular piece of art. Framing is an art form in and of itself. Historically, frames were all carved by hand to suit the canvas size of the piece. 24k gold leaf was applied over lacquer gesso covered carved wood, the gold serving to draw your eye to the painting and reflecting what limited natural or candle lighting was in the room. Framing also protected the artwork, giving rigidity to the thin board or canvas and the delicately painted surface. 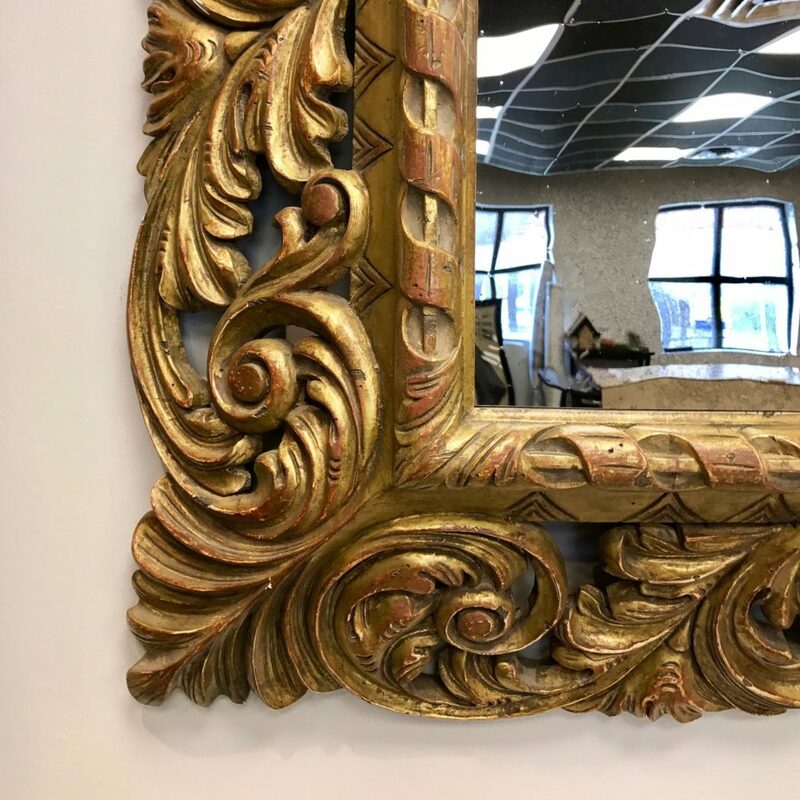 So many artistic specialties are involved in the making of custom gilt picture frames. 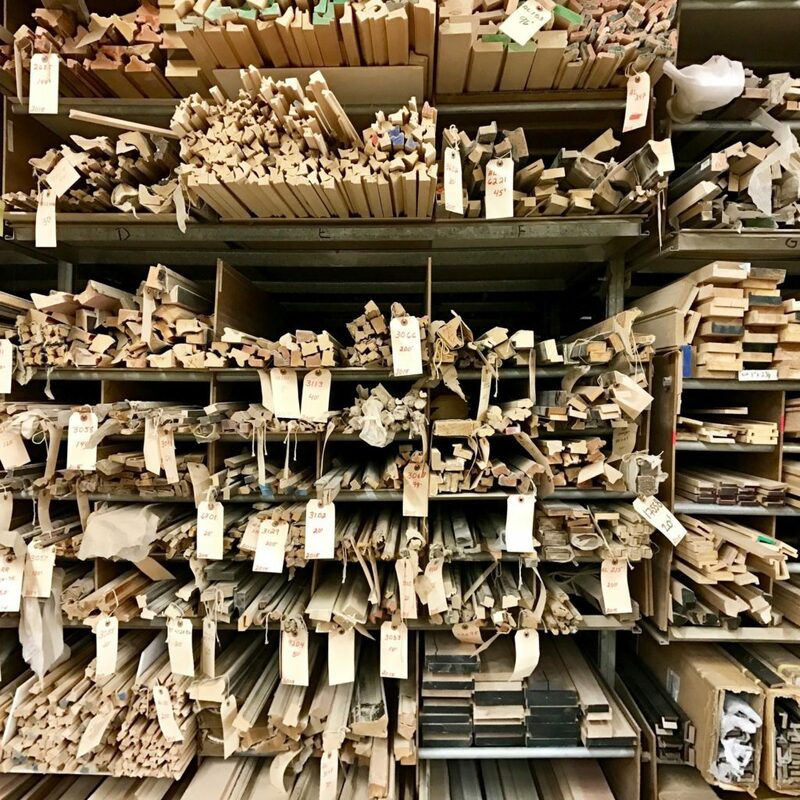 Inventory of raw wood profiles to be made into frames. An example of a complex curve, carved by hand and machine with exterior in a hand scraped finish. A joiner glues and sets the corners on several frames. A joiner sets the corner. A detail of extremely fine carving on a frame that will be ebonized and used for a large mirror. 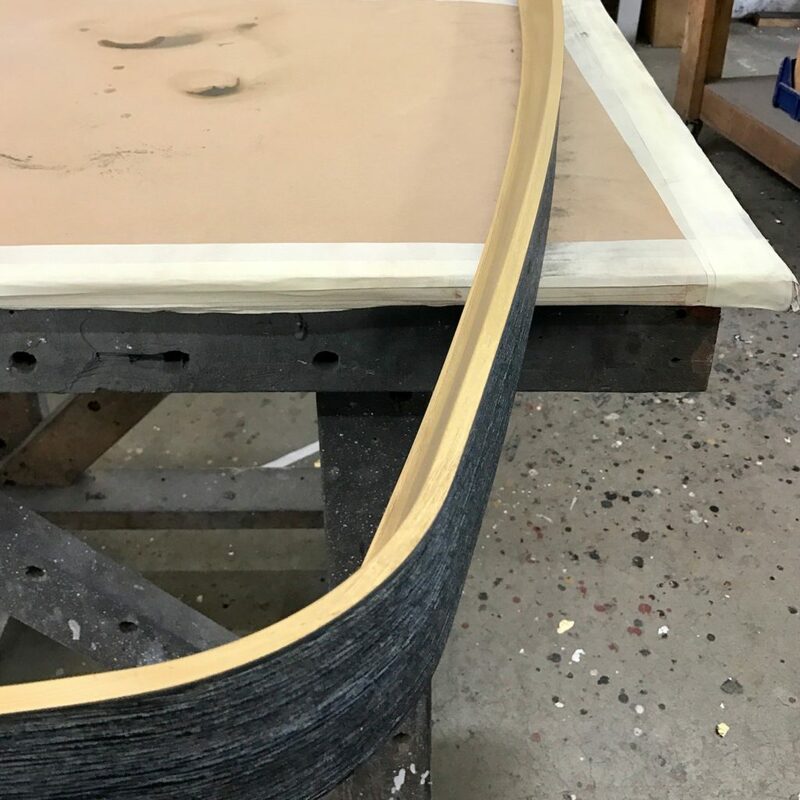 A frame’s gesso foundation is hand sanded prior to final finishing. 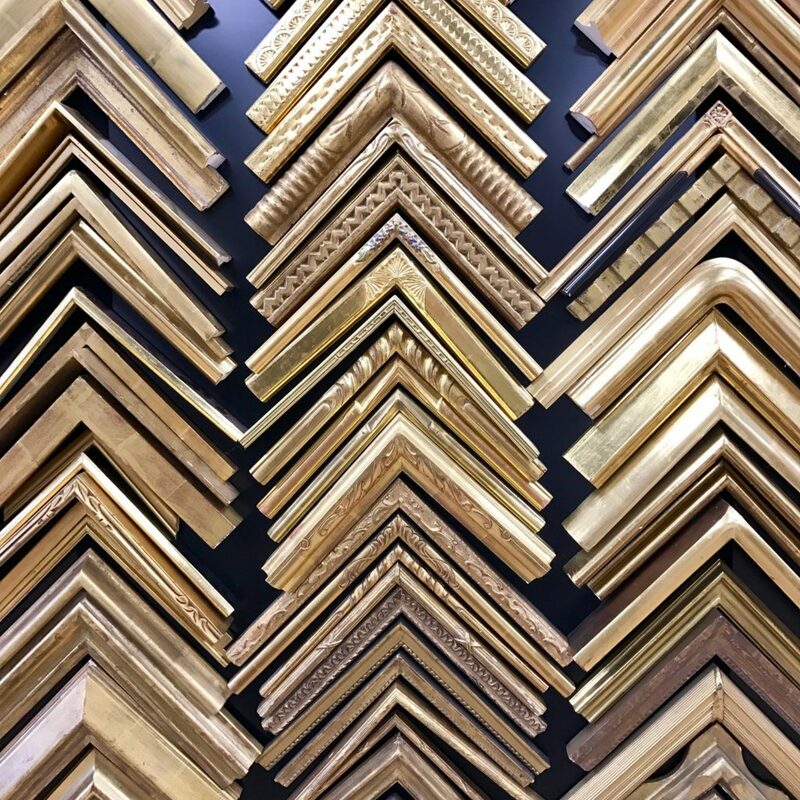 24K Yellow Gold Finished Corner Frame Samples in the Showroom. So much attention and care goes into these creations and thus, framing is not inexpensive. 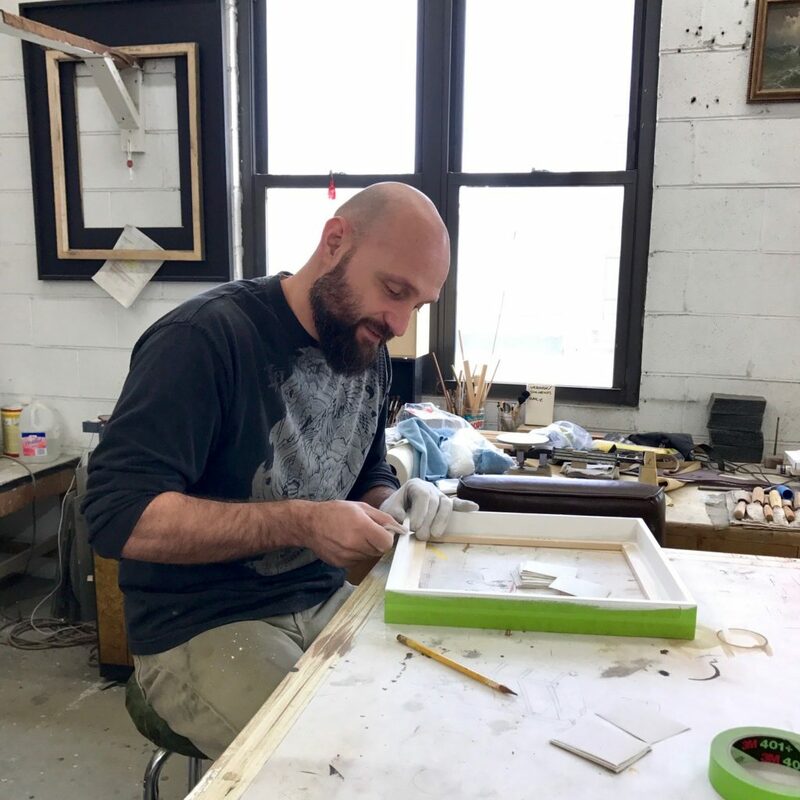 The team of artisans at Armand Lee has such a breath of knowledge of these fine arts that they are often able to repair historic pieces utilizing their skill gleaned from creating the frames. 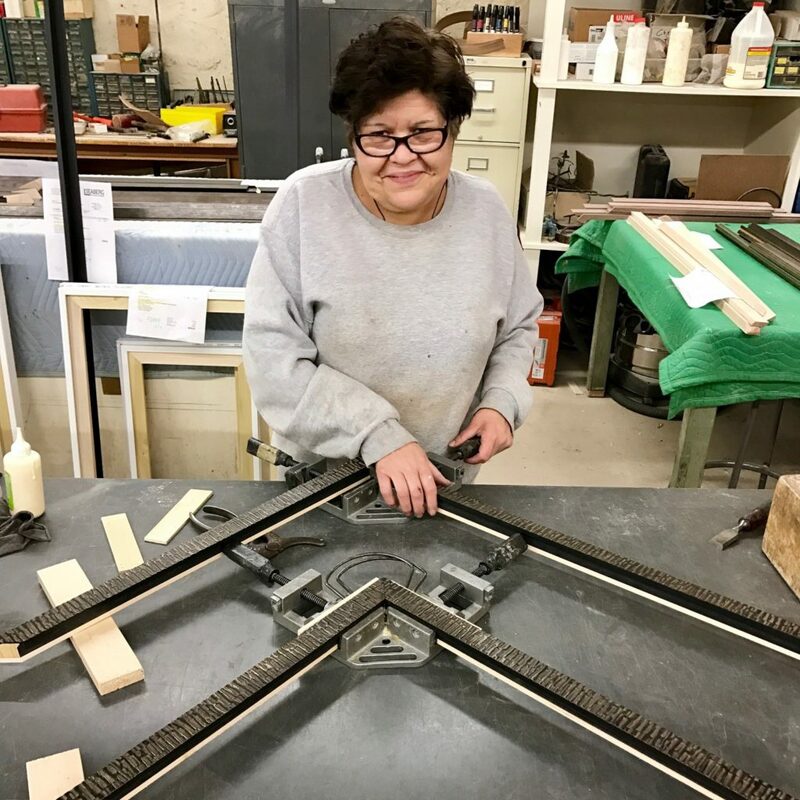 Their master glass cutter can design and create antique mirrors to match pieces from a broken table top. 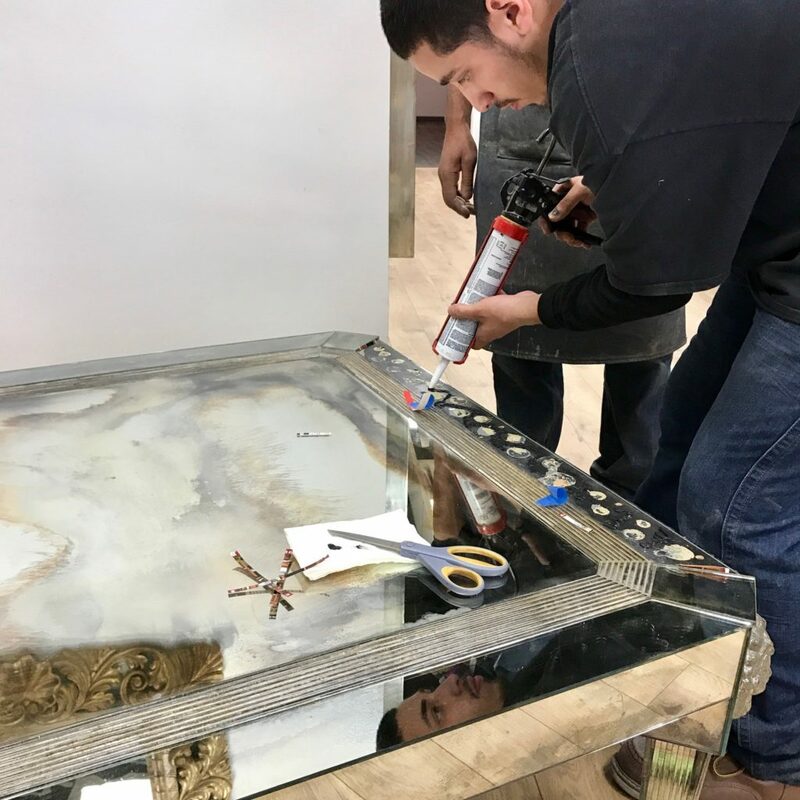 A master glass craftsman repairs an antique mirror coffee table with new mirror made at their workshop. 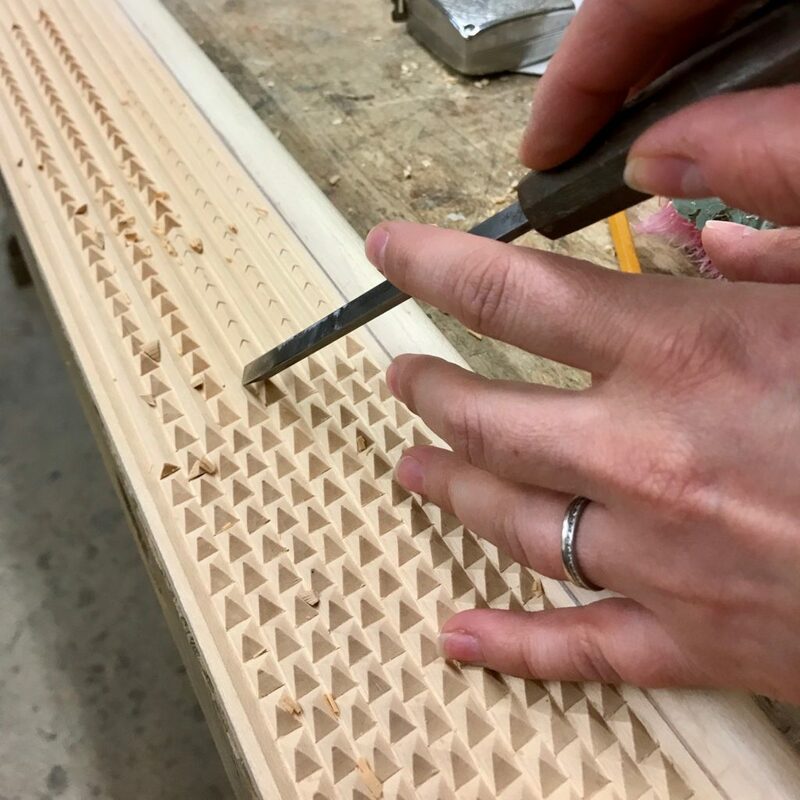 From start to finish, from rough wood sections to refined gilt edge-work, the process is incredible. 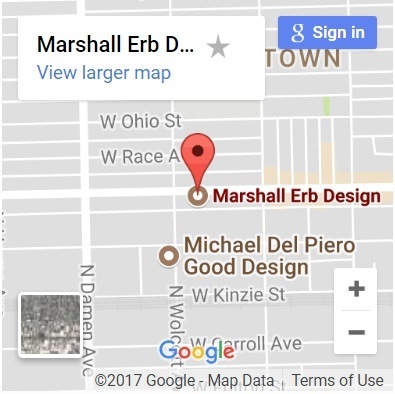 It is even more amazing that we have this cache of true artisans right here in Chicago and around the corner from our office. 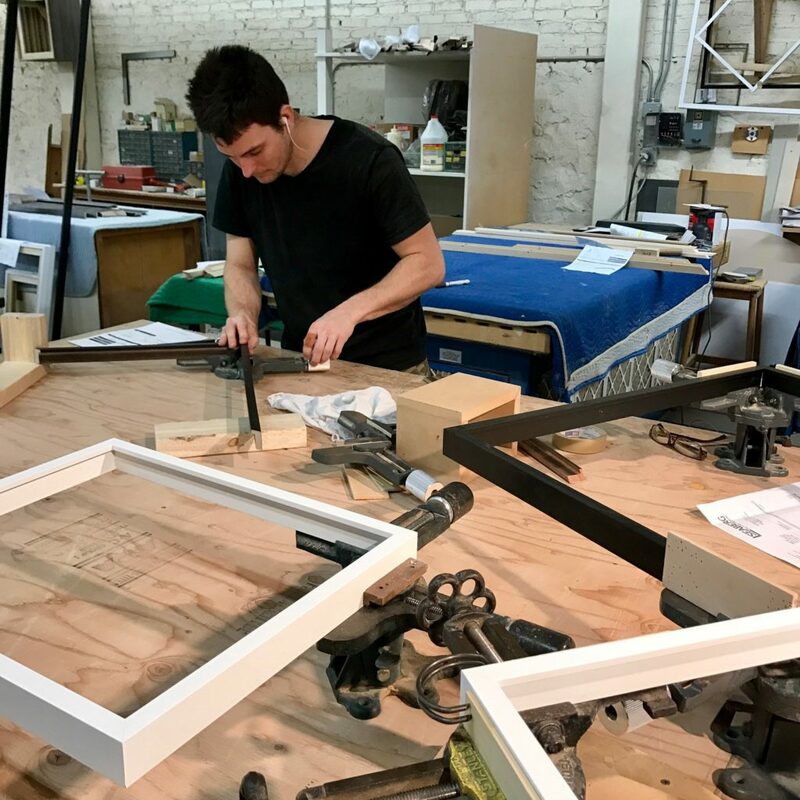 In addition to the custom made, finished corner frames that set Armand Lee apart, they also offer basic framing solutions that utilize pre-finished frames which are perfect for family photos walls, certificates, and inexpensive artwork and posters.